Merry Christmas! How neat is this… the day after Christmas is release day for Book 2 in the Bear Creek Saddle Series, Bear Creek Saddle Cowboy! 🙂 Glory be to God alone. Without Him, I never would have even started writing inspirational romance to begin with. And how awesome that we just got to celebrate Jesus’ birth! As this is the first year I’ve had my new books out, writing as Shoshanna Gabriel, this Christmastime is different for me and my family. I am so grateful and humbled by the experience of writing these books. 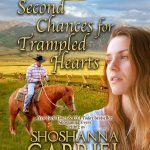 And I’m excited that readers who read the first book, Second Chances for Trampled Hearts, will be able to get to know Zach on a much deeper level, and to follow him on his journey of faith, hope, and love. But don’t worry if you haven’t read Book 1 yet… each book stands alone, has a different couple with their own HEA, no cliffhangers, and can be read out of order if you wish! I’d like to share what my book is about, and give you a sneak-peek excerpt (one you won’t find in the Sample pages on Amazon, or even in the first chapter of the book, which I shared at the end of Book 1)! 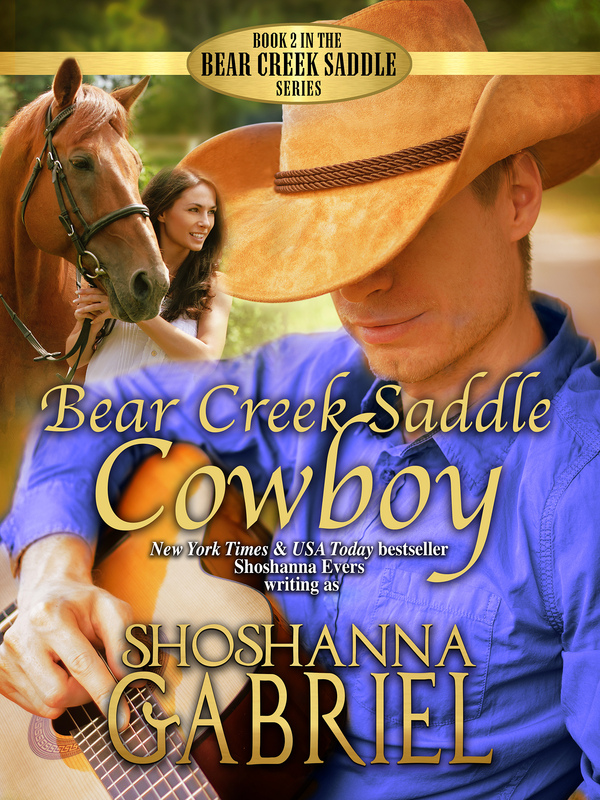 BONUS CONTENT: The first chapter of The Rancher’s Convenient Pregnant Bride, Book 3 in the Bear Creek Saddle Series is included! Pick up a book and visit Bear Creek Saddle, Idaho, anytime…you’re always welcome HOME. Available on Amazon in ebook and paperback, and FREE for Kindle Unlimited subscribers! Be notified on release day for Book 3! 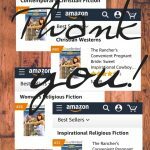 ← An Amazon Western Christian Romance Bestseller!